PCH Payment - How Can You Pay For Your PCH Orders? How Can You Pay For Your PCH Orders? myaccount.pch.com – Paying for an order over the phone is your best option if you want to make a partial payment or have some questions about your orders. You will be put in contact with a PCH customer service representative who will be able to review your account and process your payment. 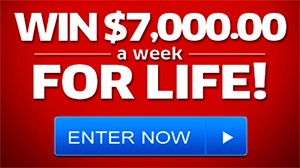 They will also answer any questions you might have about an order or about payment methods. How Can You Pay By Mail? PCH Payment? pch.com/mypch – There is a PO Box address you can use to mail payments to PCH. This is your best option if you would like to pay by check or by money order but keep in mind that this is a slower way to pay for your order. Make sure you include the order number so your payment can be processed in a short time-frame. PCH typically processes payments quickly and will apply the balance to your account. Don’t hesitate to contact the PCH customer service if you have questions about an order or about a payment. 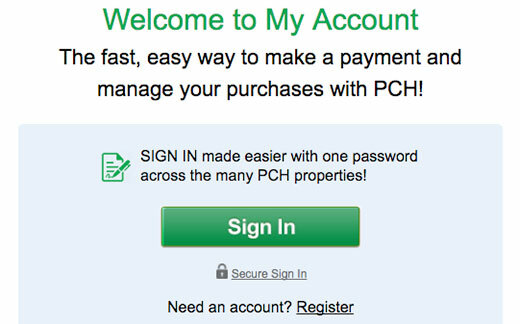 Log in to your PCH account if you want to check your current orders or see your balance. This Customer ID/Account number is your key to accessing any account information you may want to keep track of, whether it’s an account balance or your order status, or whether you want to pay any balance listed by using your credit or debit card. It’s fast and easy and available 24/7 at https://myaccount.pch.com/. – pch.com/mypch This is also the site where you can view a listing of all the PCH orders on your account! It looks to me that many of the overdue and delinquent billings have disappeared. Can I still pay them? A lot of items that I returned were never received by you and make what I owe quite a bit more than what in fact I do owe. How can I fix that?